With summer fast approaching you may be looking at your pile of worn out camping equipment in dismay, wondering if you’ve got the right gear for the job. Replacing all your camping gear with top of the line equipment might be a far-out plan but maybe it’s time to replace one or two things with some game-changing unique camping items. This can help you pass the time in the event that you haven’t planned enough things to do camping. Whether you seek campsite luxury or remote camping safety, 2019 brings us some brand new unique camping gear from experts all over the globe. There are several solar charging items available to the public and the reviews are mixed. The Goal Zero Solar Charger systems have consistently high reviews and offer an expansive array of charging solutions depending on your camping needs. While the chargers themselves are relatively pricey, the factors of reliability, ease of use and versatility make this a relevant buy. Even if you are planning on camping “off of the grid”, safety is key, in an emergency, a charged device can mean the difference between making a call for help or leaving an injured party to seek help. Glow rope is one addition to my camping items that I will be making in 2019. I’ve been literally close lined returning from a late-night bleary-eyed bathroom journey and can understand the value of a high visibility roping system. Constructed with Polypropylene fibers, durable and resistant to the elements this light and reusable rope can serve multiple purposes during any camping trip. Even better, this rope comes in a variety of glowing colors and is extremely affordable! Sometimes even with the best planning the winds and rain will prevail. I promise you the UCO Stormproof Torch, Windproof lighter and bottle opener will make sure you can still light your grill and open your beer. A solar cooker capable of boiling water and cooking just about anything! You can use this solar cooker shortly after the sun rises until about an hour before the sun sets. A bit pricey but capable of aiding the camper in a variety of scenarios and light enough to travel to any location. If you are seeking a more affordable alternative to solar cooking solutions be sure to check out the Etekcity Ultralight Portable Outdoor Backpacking Camping Stove. it has a Piezo ignition and is butane/butane propane canister compatible. This camp stove can easily be brought from the campsite on a hiking trek or fishing expedition. The Etekcity camp stove collapses fully, fitting into your pocket and yet remains strong enough to support a full pot of water. Boiling a liter of water will only take 3 ½ minutes. Ease of storage and transportation with a high level of fuel efficiency makes this the number 2 pick for campsite cooking technology! As mentioned before, charged devices are a great way to ensure safety in an emergency. If the cost of Goal Zero is too great for its single purpose, consider the Widesea Camping Cookware Outdoor Pot, a gadget that uses the energy you create cooking at your campsite. Since this item doesn’t rely on the sun, you don’t need to worry about losing charge at night or on cloudy days. Make a cup of coffee and charge your phone all at once with one of this year’s most unique camping items of 2019! 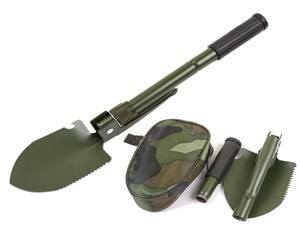 Whether digging a small latrine hole, leveling and trenching ground to avoid flooding, or smoothing the ground and removing trees and debris prior to placing your tent- you can trust this military-grade shovel to serve every purpose. The shovel isn’t JUST a shovel, it serves as a shovel, trowel, ax, and weapon if necessary. This 3 in 1 tool folds up for ease of portability. Another piece of gear used by the men and women who rely on the best unique camping equipment for survival. The military Lensatic sighting compass is essential for camping and hiking in remote locations. Forget relying on a GPS device that may fail or malfunction, this tool is reliable in all locations in all weather and doesn’t rely on a battery. Simply read the enclosed directions, practice a few times in a familiar area and experience the empowerment of knowing you need never get lost again! Lowlight conditions can sometimes give way to emergencies- the light up tactical knife makes it possible to cut with accuracy and confidence. This tool can cut through a seatbelt, durable tent rope, buoy rope or netting and quickly free entrapped people, items or animals. You can also use this tool when setting up campsites or attempting to cut in a small shadowy area. While this doesn’t seem like a necessary tool the GoGirl will help female campers in your party avoid an emergency and reclaim a sense of privacy and hygiene. The GoGirl device helps keep your party closer to the campsite or team when they otherwise may be tempted to stray in search of privacy. The GoGirl is compact, hygienic and easy to use. You can find this item sold in kits or as a single washable device. Gear Aid Tenacious Tape is sure to replace the standard duct tape solution of old. The material used in the tape is durable, can be removed (if done within 24 hours of first application) without leaving clumps of residue or weakening adherence. This Tenacious tape comes in several colors and material compositions, so repairs can be made with near invisible accuracy and durability. This chainsaw weighs less than a half pound, it is flexible, compact, safe and requires no assembly. The Tactical Survival Pocket Chainsaw can be worn on a backpack or carried in your pocket without risk of injury. The bright orange handles ensure a high level of visibility if dropped on the ground. You can cut in any direction and simply clean with a dry cloth after use. This is the perfect option for felling campsite obstructions in minutes! The LifeStraw has been added to many backpacks and bug out bags since its appearance on the market. Clean water is imperative to a successful healthy camping trip and now with LifeStraw’s expanded product line you can ensure your party has adequate access to clean drinking water. Check out the LifeStraw family bag, a device that holds unpurified water that when sucked through the LifeStraw tube is purified with every sip. While it’s fun to drink from a puddle or a stream, it makes sense to be able to bring water with you as you trek between water sources. Every Camper, hiking enthusiast, scout, soldier or bug out bag needs a quality multi-tool. This tool is built as a carabiner for both style and functionality containing 20 essential tools. It is engineered to be durable with black coated stainless steel and a gold titanium coated stainless steel disk. A few of the tools you will find on this compact carabiner are a flat screwdriver, spoke wrench for a bike, razor blade, and ruler. As mentioned before, water is essential for your camping trip. Bring water with you or bottle water from convenient near campsite sources using the Collaps water carrier. This product is awesome in its design. It is durable, flexible and shaped like an upside-down bucket that folds down flat when empty. Dimly lit campsites can be dangerous if you don’t have hand or headlighting available. The Yalumi Spark Headlamp keeps both kids and adults safe providing 18.7 hours of illumination using only 3 AAA batteries. The strap is fully adjustable ensuring the headlamp will remain securely on the head of the wearer. This pad self-inflates and is the lightest self-inflating mattress available which means it is great for a hiking trip with only the essential gear. Used and reviewed by experienced campers and hikers, this sleeping pad is touted as being the most packable on the market while still maintaining its score for warmth and comfort! If you want some other backpack sleeping pad options, check out this article with our top 5. This hammock sets up in seconds and seats 2! The Eno weighs less than 2 lbs and is compact enough to be brought on any camping or hiking trip. Set your Eno up for some romantic stargazing cuddles! The setup and removal of the Eno from your campsite is convenient and offers an alternative for those who prefer off the ground sleeping. There are a variety of Wearable Sleeping bags that have popped up, but our favorite is the SELK Bag. With zip off booties, leg vents, front pouch and hand openings you can sleep in comfort knowing if you must get up and go, you don’t have to freeze! 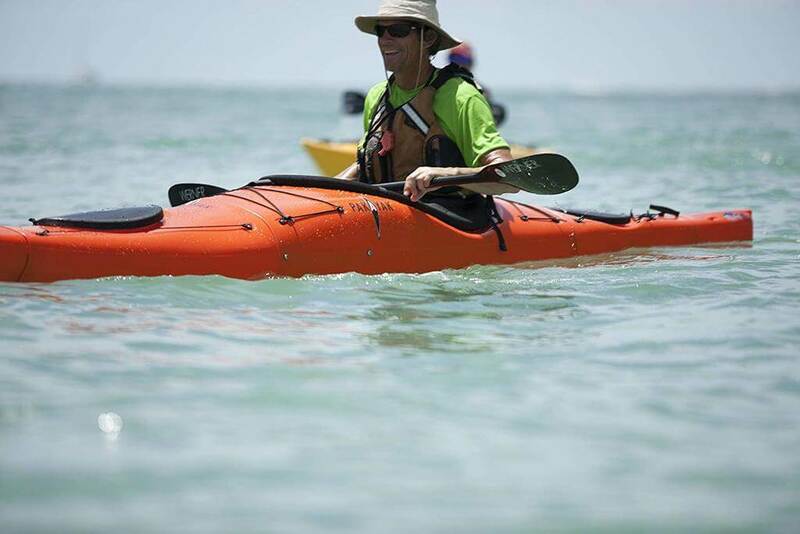 This kayak has been designed with portability in mind, allowing you to use a quality kayak anytime, anywhere in under 3 minutes. Pakayak designers tout a leak-free portable kayak that utilizes aerospace and underwater technology! While pricy this item is worth the convenience of being able to bring your kayak ANYWHERE without needing a vehicle to transport! The Scrubba is a portable washing bag that allows you to thoroughly wash dirtied clothing anywhere with ease! With the Scrubba you can extend your trip length without having to search for a laundromat and leave the comfort of your site. The Scrubba includes a flexible washboard to help get your clothing truly clean. Taking only seconds to inflate, the Lamzac is comprised of ripstop fabric. You can use this sofa for lounging at the campsite, as an improvised sleeping arrangement or for socializing with visitors to your site. The Lamzak is as easy to deflate and pack away as it is to set up- this convenience eliminates the worry of packing for surprise guests and can be used at home or away camping! There are a variety of inflatable tents that have hit the market. These tents utilize air-rise technology to replace rigid poles. Their utilization of air eliminates the hassle of pole tent set up and reduces tent set up time to mere minutes. Inflatable tents come in sizes ranging from single person tents to tents large enough to fit an entire family. You don’t have to worry about your tent collapsing in the wind either- quality inflatable tents are built to withstand the elements while providing comfort and shelter. Just make sure you properly choose your location to set up the tent. Paying top dollar for a cooler may seem like something near the bottom of your “must have list” But once you consider what Yeti has to offer you may reconsider. The Yeti Tundra cooler is known to keep foods cold for nearly a week, utilizing the same style gaskets as in-home freezers with an exemplary interior capacity for both ice and food. According to Yeti “The Tundra 35 can hold 20 full-sized cans and 28 pounds of ice.” It’s important to note that the Yeti is heavy (nearly 17 lbs.) so you will be leaving your cooler at the campsite. After a grueling day of hiking getting clean in a warm shower feels close to heaven. The Nemo Helio Pressure Shower uses the sun to warm water and provides a pressurized shower with use of a foot pump rather than gravity. While you only get about 5-7 minutes of shower time with the Nemo Helio it is currently the best camp shower on the market and is sure to refresh after a long day of exploration. While this is certainly not an exhaustive list of unique camping equipment, there is something for everyone ready to embark on their next camping adventure. From luxury to necessity the best value in camping equipment can usually be found on Amazon.